Ten Speed Press, 9781607745310, 224pp. 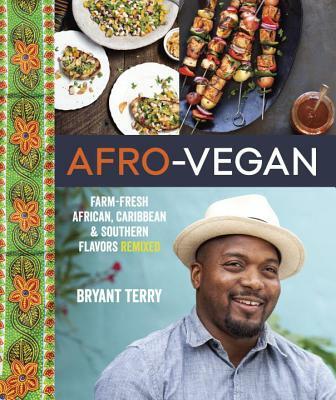 A national leader in the movement to promote healthy eating, BRYANT TERRY is the author of The Inspired Vegan and the critically acclaimed Vegan Soul Kitchen. Along with Anna Lappé, Bryant co-authored Grub, which the New York Times called “ingenious.” He is also the host of Urban Organic—a multi-episode web series that he co-created. Bryant’s work has been featured in the New York Times, Gourmet, Food & Wine, O: The Oprah Magazine, Essence, Yoga Journal, and Vegetarian Times, among others. He has made dozens of national television and radio appearances including the Martha Stewart Show, Emeril Green, The Splendid Table, and Morning Edition. He lives in Oakland, California. Visit www.bryant-terry.com to learn more.